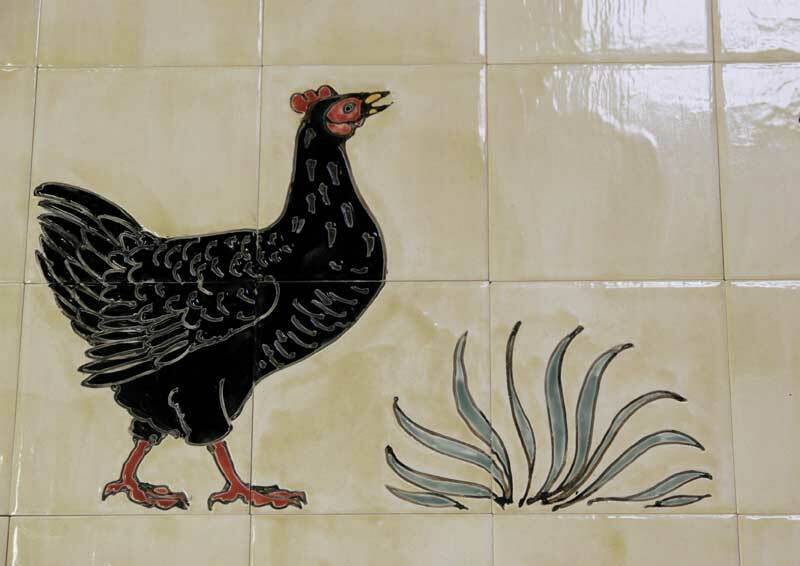 Detail of a large Aga tile panel with lots of birds! Honey translucent glaze background. 6″ 153mm tiles.